courtesy of news that a Jack Roush-owned car had never won the Brickyard 400. This Sunday, the Brickyard 400 will be run for the 18th time at historic old Indianapolis Motor Speedway. 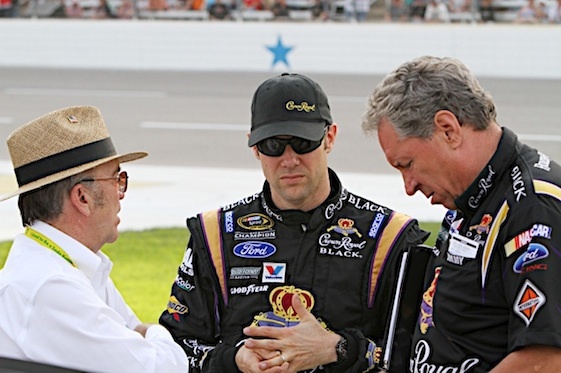 For the 18th year, at least one car owned by Roush will be in the field. And for the 18th time – and with 72 total starts by his drivers having been made – Roush will be looking for his first victory in the crown jewel event. It is one of just two tracks where victory has eluded Roush and his teams – the other being Kentucky, which hosted its first race this season. And that, he said, kind of stinks. was exposed to, but the only race he was exposed to. As a teen, he listened to the 500 on the radio. In later years, he built engines that won the 500. And, to date, beyond his reach has been victory as a NASCAR team owner at Indianapolis Motor Speedway. Not that his teams and drivers have not come close over the years. Four times, one of his drivers has finished as runner-up. Two other times, they have finished third. Just odd goings-on that have been keeping Roush out of Victory Lane at Indy, Matt Kenseth, who has finished second twice at the ‘yard and third once, said. But there seemed on Friday to be a feeling across the board at Roush that this could be the year that one of its four cars will win the Brickyard. Boosting hopes is the performance the FR9 Ford engines have shown this year. They were designed to run cooler and allow teams to add more tape to the front grills to increase downforce on the front tires. Even David Ragan, the junior member of the team, could be considered a contender this year. He arrives with a bit of momentum at his back. Ragan got the first victory of his career when he won at Daytona three races ago. He then placed eighth at Kentucky and followed that with a 14th-place showing at New Hampshire. In practice, the Roush cars all showed speed. In the first practice, Kenseth was fastest among 48 drivers who took to the track. Edwards was fourth and Ragan was fifth. 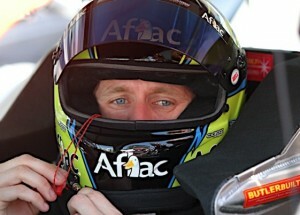 In the late afternoon practice, Edwards jumped out early to the fastest lap. 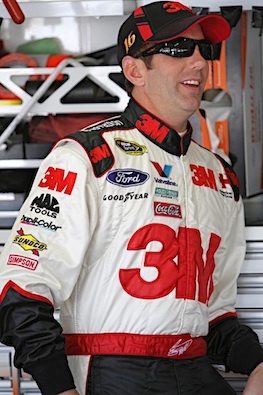 Biffle spent much of the practice in the top five. All of Roush’s drivers on Friday said they would love to get Roush his first victory at the Brickyard. “It would be cool,” Ragan said.